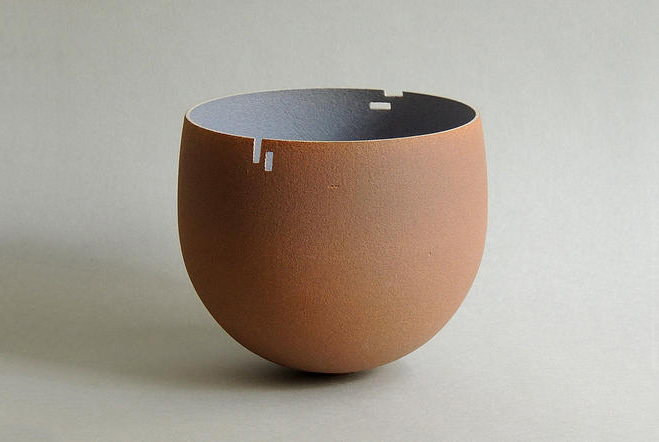 What’s nice about ceramics is the link between the texture of the clay and the colour placed upon it. 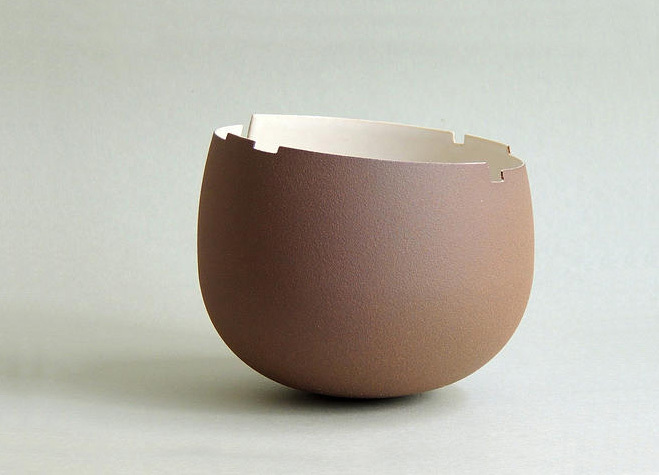 Porcelain is very smooth and refined, where as stoneware can be heavier and feel rough in the hand. 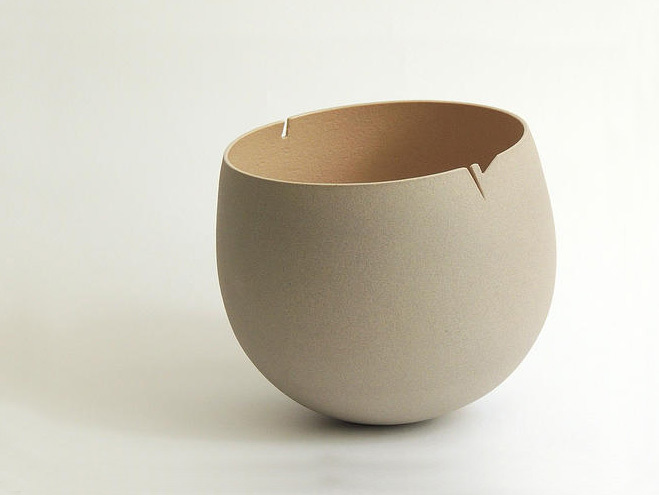 So it was interesting to come across these sandstone vessels by Anne-Soline Barbaux, a French ceramicist who works at her studio in the Belleville, Paris. 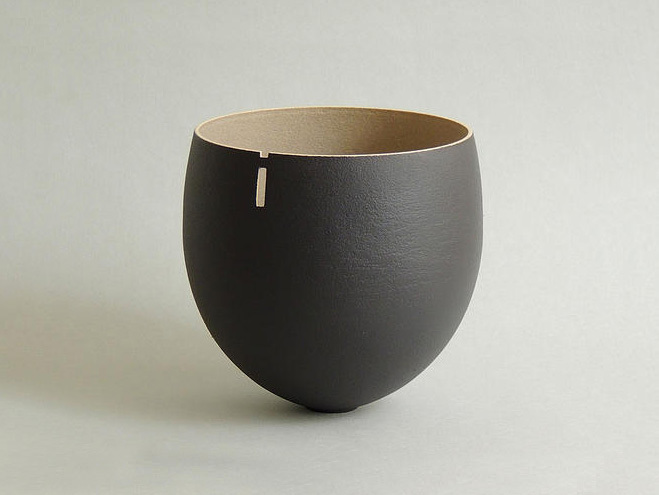 One thing that I noticed straight away was the thinness of the form mixed with the textured clay body. She achieves this by turning away the excess clay until near enough breaking point, later adding recessed indentations near the rim. An engobe is then applied to the outer and inner surface as decoration, with her colour palette being muted and subtle. 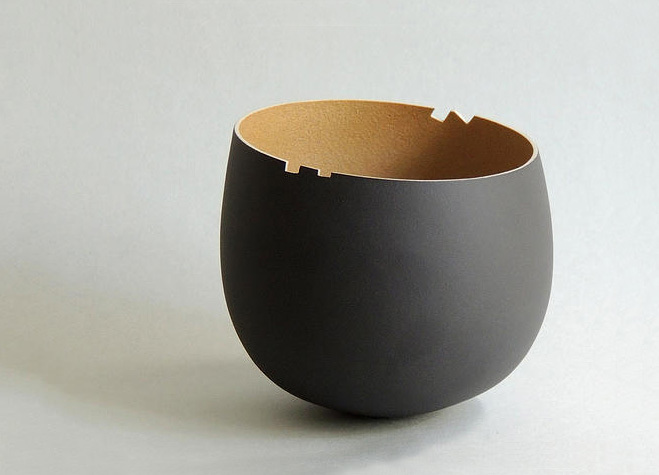 In her collection so far she has used a burnt orange colour, black, brown and cream, juxtaposing the inner and outer parts of the vessel to create a separation between the two. It also seems to show the thinness in the walls in more detail, as well as drawing your eye to the shapes carved near the rim. When I saw these they reminded me of Le Corbusier’s architecture, especially his window placement, and I think in general they have a similar style. 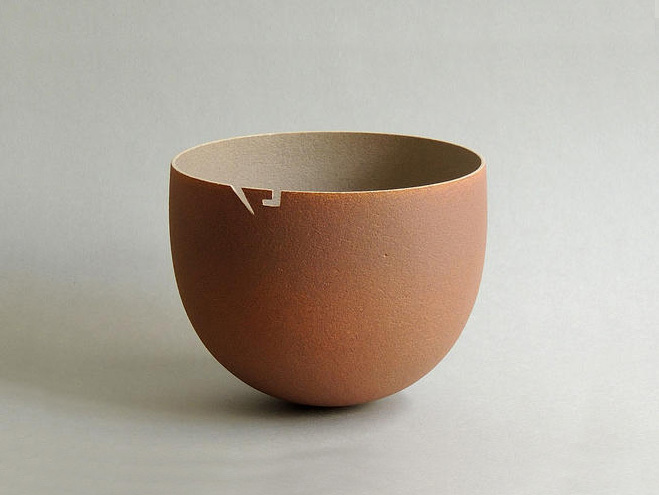 Overall I really love these vessels, simple but considered. It’s especially hard to create such thin forms that flow like this and offer-up such modernity in an old age medium. Enjoy.